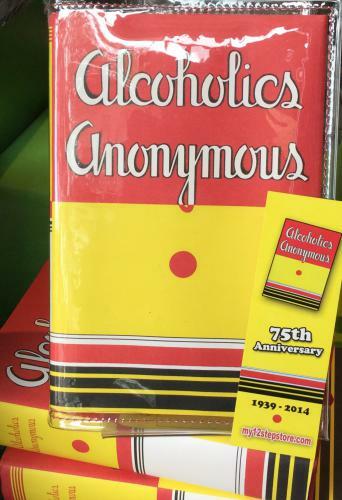 To commemorate the 75th anniversary of the historic publication of Alcoholics Anonymous in April 1939, the 2013 General Service Conference approved the creation of this facsimile edition of the first printing of the first edition. Special edition with red hardcover binding, the famous "circus cover" dust jacket and bulky paper (which was why it was initially called the Big Book). 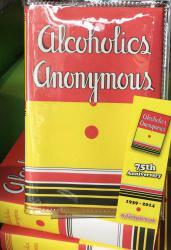 Alcoholics Anonymous (the Big Book) has served as a lifeline to millions worldwide. First published in 1939, Alcoholics Anonymous sets forth cornerstone concepts of recovery from alcoholism and tells the stories of men and women who have overcome the disease. With publication of the second edition in 1955, the third edition in 1976, and now the fourth edition in 2001, the essential recovery text has remained unchanged while personal stories have been added to reflect the growing and diverse fellowship. The long-awaited fourth edition features 24 new personal stories of recovery.